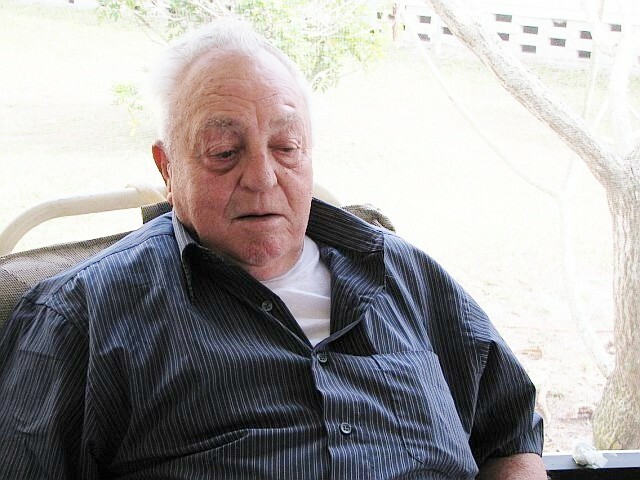 Henry Murray Miller., 90, of Richville, died, April 1, 2012, at Claxton Hepburn Medical Center. Calling hours will be Tuesday, April 3rd , 2 -4 and 6 -8 PM, with a Mason service at 6:30 PM. The funeral service will be Wednesday, April 4th, 2:30 PM, at the funeral home, Reverend William Hart officiating. Murray is survived by his companion, Ethel Newcombe, a sister, Mary Jane Miller, Potsdam, four nieces and four nephews. He was predeceased by a brother, Merrill Miller, and a sister June Miller. He was born August 13, 1921 at his home, in Richville, where he lived his whole life, the son of Robert and Pauline Millar Miller. He was a WWII Army Veteran having earned the American Theater Ribbon, Good Conduct Medal, European-African-Middle Eastern Theater Medal and the Victory Medal. He was the highway superintendent for the Town of DeKalb, retiring in 1987. He was a member of the FA & M #633 Richville, he enjoyed tinkering, fishing, going to the diner for coffee, and going to auctions. In lieu of flowers contributions can be made to the Gouverneur Volunteer Rescue Squad or the Richville Volunteer Fire Department. My step-father, Donald A. Stevens, worked with Murray for the Town of Dekalb. My family would like to offer our deepest Sympathy to Ethel, and the rest of his family. We would like to offer our sympathy to Ethel and the rest of Murray’s family. Norb always enjoyed working with Murray when he was on the Town Board and in later years talking with him when ever they would meet. I knew Murray Miller for a very long time.. May he RIP..